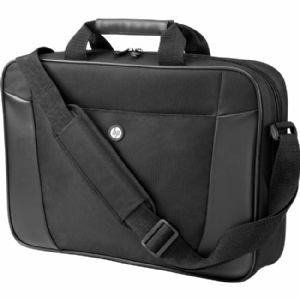 The case has a foldover flap top and top zipper closure to help keep your notebook secure inside the case. The flap top has plenty of underside storage with zippered and slip pockets for business cards, pens, and other personal items. The dual-compartment interior includes high-density foam padding to help protect your notebook alongside miscellaneous accessories and documents. A padded shoulder strap with crossbody length helps ensure maximum hands-free carrying comfort.